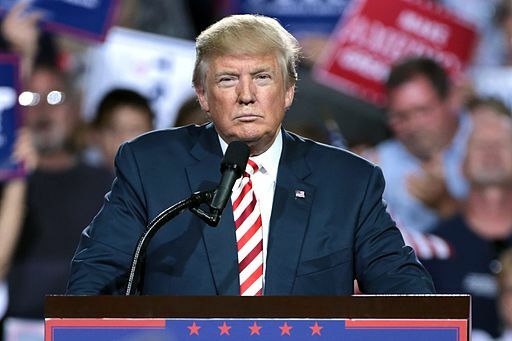 President Donald Trump issued the first veto of his presidency on March 15 rejecting legislation drafted to thwart his declaration of a national emergency after Congress rejected his funding request for border wall construction between the U.S. and Mexico. The legislation, which in a rare feat garnered the support of 12 Senate Republicans, was widely seen as procedural gesture since there is not enough support in Congress to override the veto. Michael Sharpe, an associate professor at York College, weighed in on the impact of the declaration and the broad power of the presidency. Trump declared the national emergency at the border last month as part of a plan to divert money to build more barriers along the U.S. border with Mexico, after Congress only approved $1.38 billion. While 12 of the 53 Republican senators opposed Trump’s emergency declaration, only 13 of the 197 Republicans in the House supported the resolution when it passed last month. “It seems that not enough Republicans are bold enough to disagree with the president.” Sharpe added. “We will possibly get a bad ruling, and then we’ll get another bad ruling, and then we’ll end up in the Supreme Court, and hopefully we’ll get a fair shake,” Trump said of the lawsuit at a press conference. A declaration of a National State of Emergency can be best defined as a situation that places a threat on the lives and health of citizens within a country.